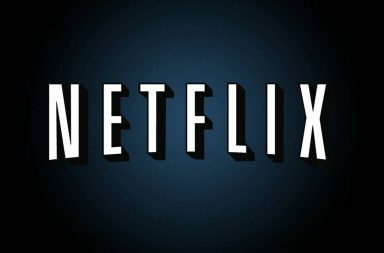 Netflix, Inc. (NASDAQ:NFLX) is reaping huge from its investment in oversea markets. The video streaming company rolling out investments in local language content and examining the best ways to serve the market including Latin America, Europe and Japan. According to a note written by analysts at UBS to clients, Netflix is quickly gaining ground in these markets. This comes with an improvement and increase in the company’s subscribers. According to the analysts led by Doug Mitchelson, Netflix is expected to grow its subscriber base by 20% in 2007. Mitchelson says according to app-download the company is increasing in growth momentum in many global markets. He adds that consumer survey shows higher user satisfaction and a strong brand affinity. Mitchelson say content will be Netlix’s frontier in accelerating international additions as the company steps ups investment in local content globally. Netflix has predicted an additional 5.2 million new subscribers in the first quarter of 2017. This is the same target set during the most recent fourth quarter before reporting an actual value of 7.1 million. According to analysts tracked by FactSet, the company is likely to grow its subscriber base by 5.6 million subscribers in the first quarter of 2017 on the high end. The company will increase its subscribers by 5.2 million subscribers on the conservative end. Growth in subscriber has been the company’s main source of revenue and has been Netflix’s most important metric. Due to slowing growth in the U.S market, Netflix has been spending a lot of money in gaining more subscribers and expanding its market reach. In the process the company has found itself running into debts. The company has remained committed toward investments in adverting model that generate revenue to the company. The company currently has a $3.4 billion long term debt. This is according to the company’s most recent fillings for the fourth quarter. The company is hoping to maintain and increase its oversea growth to help in offsetting its increasing debt. Netfilx shares were up by 1.75 on Monday having gained 39.1% in the 12 months period.